After last year’s successful open day, we have planned another that’s bigger and better. 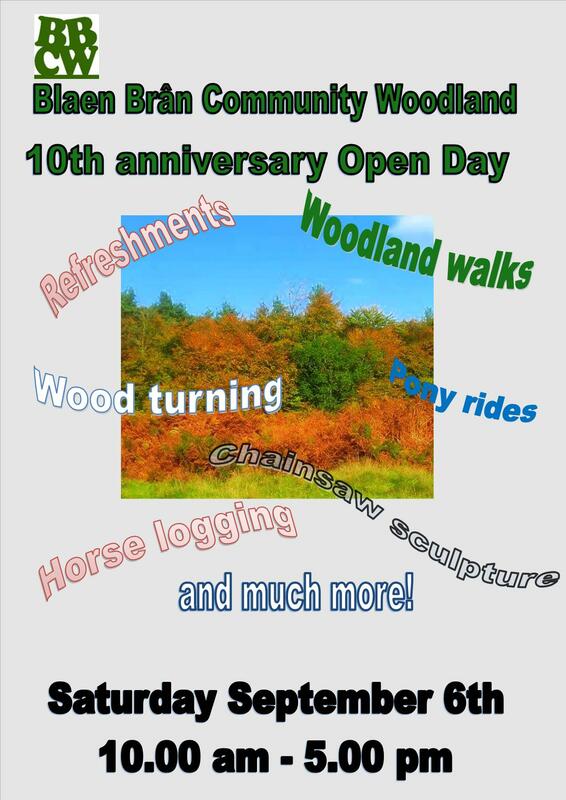 There will be pony rides, children’s activities, craft fayre, refreshments, woodland walks, cider making demonstration, music and Morris dancing and demonstrations of woodland skills such as pole lathe, wood turning, tree felling, horse logging, chainsaw sculpture. As before there will be free parking on site but, remembering that last year this filled up pretty quickly, we do advise those who can walk up to do so or to park in the Mountain Air car park. There will also be a special event for members the night before so, if you’re thinking of becoming a member, there is no better time than now.